Sara Fitzgerald and Michael Martin, both with the group One Virginia, protest gerrymandering in front of the Supreme Court on March 28. It did not take long before volunteers flooded her in-box, and a two-sentence social media missive became Voters Not Politicians. The nonpartisan organization spent the first half of 2017 studying the successes and failures of independent redistricting commissions nationwide and crafting a ballot initiative that would survive legal challenges in Michigan. Then they pounded the pavement: Between August and December, Voters Not Politicians collected some 425,000 signatures statewide and now stands poised to bring a constitutional amendment mandating fair districts to Michigan’s ballot this November. Their success stunned the state’s political establishment, which had never seen nonprofessionals generate this much enthusiasm — or this many signatures without paid collectors. The best-seller lists are filled with ominous titles like “How Democracies Die,” but perhaps the real story of 2018 is how determined citizens are to fix it. Even while awaiting two key partisan gerrymandering decisions from the US Supreme Court this month, citizens are fighting to remake democracy coast to coast. 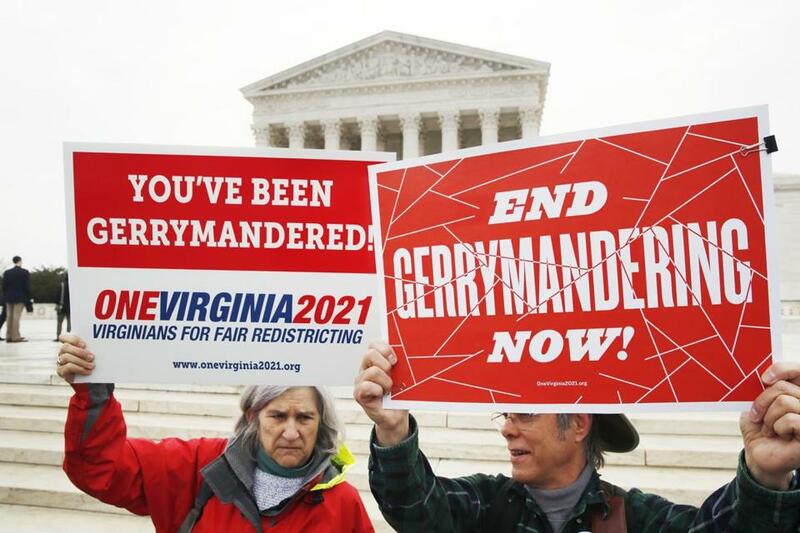 Nationwide, voters are pushing nonpartisan referendums to address partisan gerrymandering, expand voting rights, and even the way elections are conducted. There’s a vigorous effort to register 16- and 17-year-olds to vote — and in some locales, to allow them to cast ballots — and to restore the franchise to felons who have served their time. Will the Supreme Court kill gerrymandering? Gerrymandering empowers extreme candidates, perpetuates incumbents, and strips the vote of meaning. What’s perhaps most exciting, however, is that these campaigns cross party lines, at a time when our politics otherwise seem polarized and gridlocked. The reform campaigns span traditional red state/blue state boundaries as well: New Jersey, Virginia, and Louisiana are among the states that have moved to end felon disenfranchisement. Polls show that a ballot initiative that would do the same thing in Florida — where an estimated 2 million residents have lost the right to vote due to a conviction, more than any state in the nation — has wide bipartisan support. In Ohio, a May referendum that limits the ability of legislators to draw their party a decade-long advantage in congressional districts passed with overwhelming support. Some 75 percent of voters in that state — a longtime bellwether, where Republicans nevertheless drew themselves three-quarters of the state’s congressional seats and two-thirds of the state Legislature — backed a compromise between legislators and reformers that ought to make the process more fair and inclusive. It’s not a perfect plan; legislators will still drive the process, not citizens or an independent commission. But with giant majorities in the state house and senate, Republican legislators did not have to make any deal at all. What forced them to the table? Hundreds of thousands of signatures. Reformers collected nearly a quarter-million names toward a November initiative that would have taken even more control away from legislators. People power scared a nearly unbeatable supermajority to make a deal. People power also won’t back down in Maine. Home to active third-party movements and a state where independents outnumber Democrats and Republicans, voters passed a 2016 referendum instituting ranked-choice voting, or instant runoffs, in order to guarantee that elections with multiple parties ended with a winner who has majority support. Legislators blocked that reform — but frustrated voters quickly gathered the signatures for a “People’s Veto” of the politicians and this week Maine voted to keep ranked-choice voting. Candidates in North Carolina aren’t being cowed by aggressive gerrymandering either. Even in 2016, districts were so rigged in favor of one party or another that even with a presidential election and a governor’s race at the top of the ballot, more than 49 percent of all state house races lacked a major-party challenger. In 2018? All 170 races for the Legislature will be contested. Credit organizations like Run For Something for guiding newcomers into the process with know-how and financial support. Republicans exploited gerrymandering better than the Democrats in the decennial redistricting that followed the 2010 census. They organized a $30 million effort called REDMAP, short for the Redistricting Majority Project, to win key down-ballot state legislative races that would give them unilateral control to redraw both state maps and congressional districts across purple states, including Ohio, Michigan, Pennsylvania, North Carolina and Wisconsin. What’s clear, however, is that voters of both parties seem to understand that structural issues — fair districts, access to the polls, voting methods — matter, and can skew results in antidemocratic directions. In addition to Michigan, ambitious common-sense redistricting reforms appear poised for the ballot this fall in Colorado, Missouri, Utah, and Arkansas — backed by impressive bipartisan coalitions. An April poll by the Pew Research Center found 61 percent of Americans believe “significant changes” are necessary in the “design and structure” of our political system. 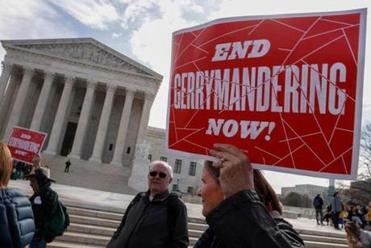 Last fall, a bipartisan poll discovered wide support for the Supreme Court to define a standard that ends extreme partisan gerrymandering. It cut across party lines: Eighty percent of Democrats, 68 percent of independents, and 65 percent of Republicans would back action by the court. The Supreme Court delivered troubling news already this week: a 5-4 decision in an Ohio case that will make it easier for states to remove nonvoters from the rolls. Any day now, two crucial partisan gerrymandering cases will be decided. Voters, however, aren’t waiting for them to fix the process. They’re taking it into their own hands. It’s working. David Daley is the author of “Ratf**ked: Why Your Vote Doesn’t Count” and a senior fellow at FairVote.